Ideal introduction to the Trilogy range for trial or travel. Cleanser, toner, moisturiser and facial oil in a gorgeous organic cotton drawstring bag. 1) Trilogy Cream Cleanser: (30ml) Good for All Skin Types: This great cleanser leaves skin scrupulously clean, and removes eye make up too, but will not strip the skin. 2) Trilogy Hydrating Mist Toner: (20ml) Instantly revitalising alcohol free moisture mist with rose, geranium, lavender. A gentle, hydrating toner blend of pure flower waters. 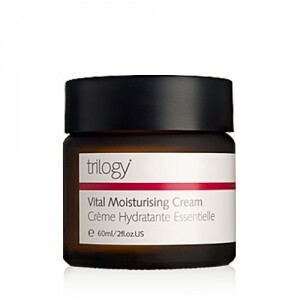 3) Trilogy Vital Moisturising Cream: (20ml) Trilogy's original moisturiser has been called "The Rolls Royce of natural moisturisers." It delivers instant moisture in a wonderfully, light, fast absorbing cream which contains rosehip oil to repair and protect the skin. 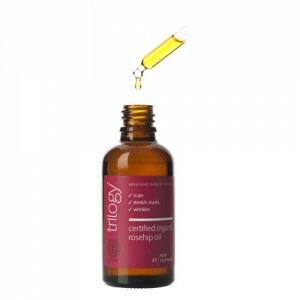 4) Trilogy Rosehip Oil Antioxidant +: (2.5ml) Advanced formula rosehip oil with red berry super antioxidants. Certified organic and 100% natural. Helps restore and protect. 5) Organic Cotton Drawstring Bag: 21cm x 15cm with a pretty "Hello Gorgeous!" design. A great value gift set and perfect introduction to the range, with plenty in each tube to see you though a holiday or weekend away.